The extent of behind-the-scenes Cabinet splits before the 1975 referendum on British membership of the Common Market is shown in newly-released papers. 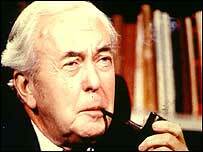 Prime Minister Harold Wilson eventually allowed Cabinet ministers to "agree to differ" in the referendum campaign. But the papers show how he came under pressure to give them that freedom to speak their minds. And they reveal his anxiety to keep the Cabinet taking a united stance for as long as possible. Amid reports that Tony Blair's government is split on issues such as school reforms, the planned partial smoking ban and the new European Union budget, the papers show how a previous government handled division. Britain joined the European Common Market in 1973 but Labour was elected a year later promising to renegotiate the terms of membership and hold a referendum on whether to stay in. The newly released documents show that Cabinet ministers Michael Foot, Tony Benn and Peter Shore wrote to Wilson in November 1974 about the planned vote. They said some ministers would support continued membership whatever the results of the negotiation. Others - meaning themselves - might feel that "however great the improvement of the terms may be, the loss of sovereignty implicit in membership would involve paying too high a price". The trio of Eurosceptics pressed for Cabinet ministers to have the right to express their views publicly ahead of a referendum. "Whatever the outcome of the renegotiations, it is clear that ministers will have very deep convictions that cannot be shelved or set aside by the normal process of Cabinet decision making," they said. Wilson decided to discuss the issue in the New Year rather than wait until the end of the renegotiations, when the Cabinet would have to declare which side it would take in the referendum. In one note, he wrote: "I'd like to hear the view of the pro-marketeers, at a time when no one knows who is going to win, or whether they will be in the minority or the majority." He was also anxious to ensure ministers did not "jump the gun" and there was frustration in Downing Street when some ministers let their private views become public. Shore made a speech to the Fabian Society which made clear he was at odds with official Labour Party and government policy. A memo drafted for Wilson to sign - but apparently never sent - warned Shore: "You must not underrate the effect which this could have on the cohesion of government, not just on this issue but over the whole range of affairs." Instead of such personal rebukes, Wilson issued a note to all of his Cabinet in December 1974 about some of them "ventilating views on controversial matters" without clearance from No 10. "I reserve the right to disavow, as representative of government policy, speeches in respect of which those rules have not been complied with," he said. Wilson also denied claims from minister Eric Heffer that he had "endangered party unity" himself through a communiqué which Heffer claimed could weaken Britain's European veto. But a real flashpoint came when Benn wrote a public letter to his constituents on 29 December 1974. 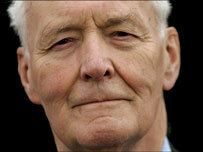 Benn said he had backed Labour's manifesto commitment to renegotiate the terms of Commons Market membership. But he warned that Britain's continuing membership would mean "the end of Britain as a completely self-governing nation". Benn claimed he was not arguing a case but just setting out the democratic effects of EC membership without judging whether they were outweighed by the advantages. The letter clearly caused consternation in Downing Street, which sent an urgent message to Benn saying his statement broke a Cabinet agreement to discuss the European question in the New Year. Before then, said No 10, ministers should not be "involved in private enterprise". Wilson, who had received a telex of Benn's letter at his Isles of Scilly holiday home, was told the press already had copies of the statement. In January 1975, Benn insisted his letter had not broken the Cabinet decision as he had merely explained the situation, rather than arguing a case, and had not broken the manifesto pledges on renegotiation. Wilson disagreed, telling him that other ministers "have not disguised the indignation they feel" about the letter. He said the government might "agree to differ" but until it did there must not be the "impression of disarray". Sure enough, the Cabinet decided later that month to allow ministers to campaign against the official government decision in the referendum, especially as many ministers had long-held views on the issue. Once the Cabinet had officially decided to recommend staying inside the European Community, some ministers declared their intention to campaign the other way. Wilson warned them that the agreement to waive government collective responsibility was not a licence to mount a coordinated programme against the government or to try to embarrass their ministerial colleagues.